Reports from Burma’s embattled Rakhine State recall some of history’s most heinous crimes. In 2012, a Burmese government official told Dr. Maung Zarni, a persistent gadfly of the military-ruled state: “The bottom line is, we don’t want any more Mus [Muslims] in our country. But we can’t possibly kill them all.” If there were one phrase most appropriate to describe the ethnic tensions underlying the conflict in Rakhine State, it would be this. The Burmese government is on a mission of annihilation. Yet so far Burma has confounded scholars of previous genocides; there are no Killing Fields as in Cambodia, no gas chambers as in the Holocaust, no ruthless, efficient mass-killing squads as in Rwanda. There are, however, ominous parallels of the same inhumanity, grave injustice, and relentless persecution scholars have seen as precursors to all previous genocides – parallels which eerily recall the conditions in Europe in the 1940s. In fact, Burma may not be so far divorced from the model of genocide history has shown us than we thought. As part of its campaign of extermination against ethnic minorities in Europe, the most numerous among them European Jews, the German National Socialists instituted a policy of “ghetto-ization,” a concept well founded in European history as a way of isolating Jewish populations from gentiles. Not all World War II ghettos were the same. 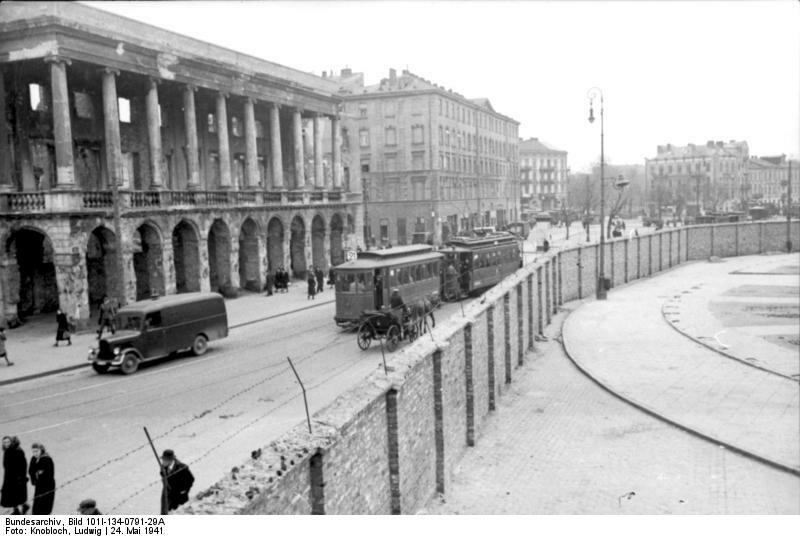 Most scholars classify them into three categories: open ghettos, which did not have walls or barbed wire and were common in the early stages of the war or in certain geographical locations and had strict rules on leaving or entering; closed, or sealed ghettos, which were walled and akin to prison complexes in which all targeted residents of a city were crowded; and destruction and extermination ghettos, which were like an urban transit camp, in which ‘undesirables’ including Jews and Roma were kept for only a short time before deportation to mass-execution areas, death camps, or labor camps. Much like European cities with Jewish quarters, Rakhine State’s largest cities have ethnic quarters home to Muslims living and working in the majority Buddhist state. And much like European cities in the early 1940s, the open ghettos of major Rakhine cities like Sittwe began to transform into more sinister incarnations following violence in late 2012, which brought the Muslim quarter from 73,000 inhabitants to scarcely 5,000 a year later. Aung Mingala, the last remaining Muslim area in Sittwe, is now a prison complex – a closed ghetto, and the familiar anatomy and mechanism of ghetto life is emerging. One of the most disturbing reports The Sentinel Project received from anonymous informants is the limiting of the food ration to only 0.37 Kg of rice per day, well below the World Food Program ration (which are prohibited to inhabitants of the Aung Mingala Ghetto). Even more sinister were reports last August registered by ThreatWiki which noted an official government plan to starve Muslim refugee residents out in order to relocate them to Rakhine State’s extensive network of squalid and heavily-guarded IDP camps – camps which Time Magazine compared to concentration camps. 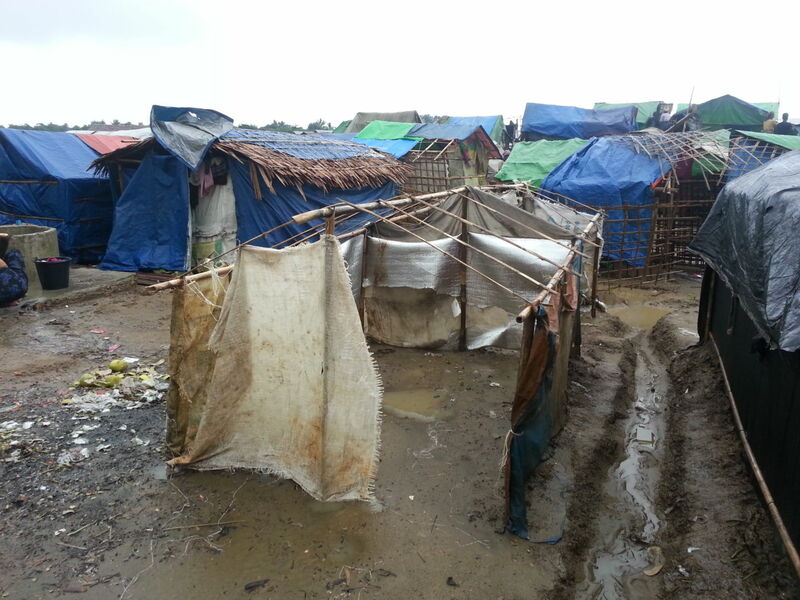 In the late summer of 2013, Aung Mingala became a destruction ghetto. Those who remained afterwards in the besieged enclave now have to endure a daily struggle for existence. Attempting to escape is punishable by a 2 or 3 month prison sentence. 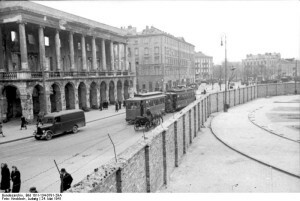 For the residents of the Warsaw Ghetto in Poland, the largest of the German-created ghettos in World War II, starvation, illness, and death were mere hours or days away, and despite draconian punishments for escaping or dealing in goods, the only recourse for survival became escape or the black market. An economy based on bribery was one of the inevitable consequences of the sealing-off of European ghettos in the Second World War; it was an existence based on exploitation, usury, and corruption without recourse to legal protection. It brought out, in many ways, the worst possibilities of human nature. Today, in Aung Mingala, Sittwe, daily existence presents haunting parallels. Residents are impoverished to the point that there is no money to purchase additional food above the meager ration. Anti-biotics and TB drugs are unavailable. One source wrote: “When we give money to the police or the military to buy important medicines for the Emergency patients, they disappeared with the money.” When their superiors are asked where they have gone, residents are told they have been transferred. When they do return with goods, the prices are often double or more; and some paid items are missing or looted. For the sick or injured, transport to the Sittwe General Hospital must be accompanied by an $80 bribe. In a country where residents live off of less than $2 per day this is an astronomical fortune. Protection to get medical aid from NGOs is a $15 bribe. The consequence is that most people die without medical assistance. In Aung Mingala, police and military patrol the streets, checking the papers of all who pass in and out. 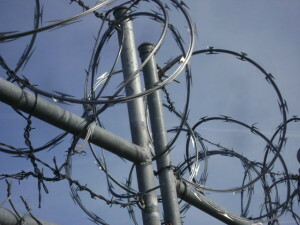 Metal barricades are topped with concertina wire; they are opened only for those with the desired ethnic identity. “Muslims are like the African carp,” nationalist Monk Wirathu said in an interview. “They breed quickly and they are very violent and they eat their own kind.” Sittwe was the core of support for imposing a two child limit on Muslims. Foreign journalists are banned and Rohingya are forbidden to talk to them, because, according to a government spokesperson “[…] they all tell lies.” If the world could witness these ominous parallels, it might be prodded into motion – but the ghetto is sealed. This is Aung Mingala for now. But for how much longer? What will happen when its inhabitants are eventually marked for elimination?